Also: See our upcoming workshops and read what colleagues are saying about our programs. Training in Couples Therapy is a training group for therapists who would like to learn more about couples therapy. Our Fall 2018 series of meetings will focus on how to do couples assessment. This three step process of meeting (1) together, (2) separately, and (3) together-for-feedback is an extremely effective way to get couples therapy started with a new couple. The training group will meet five Friday mornings, 9:30 to 11:30 once a month. The first meeting is Friday August 17, 2018. Subsequent dates are Sep 14, Oct 12, Nov 9 & Dec 7. The group is limited to 16 participants. Click here to REGISTER NOW while space is still available. The cost is $75 per meeting. There are 2 CEs per meeting for a total of 10 CEs. These CEs are APA-approved for psychologists, and Related hours for counselors, social workers, and marriage and family therapists. Each participant commits to attend, and pay for, the whole series of five meetings. Everyone is allowed one free miss. Click here to register now for Training in Couples Therapy. Working with Difficult Couples is an consultation group that meets Friday mornings, 9:30 to 11:30. 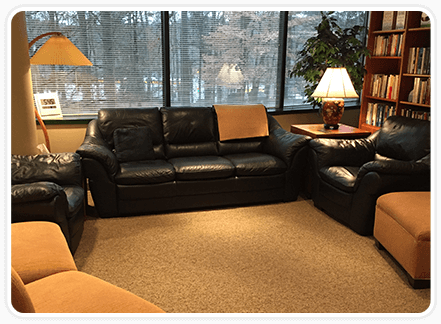 This advanced group is limited to therapists who (1) have taken two or more sessions of Working with Difficult Couples already or two or more sessions of Advanced Training in Couples Therapy, and (2) have a practice that includes couples therapy. We will focus on the challenging situations that arise in couples therapy. The Fall 2018 session is September through November. Meetings are every two weeks. The first meeting is Friday September 7th. Subsequent dates are Sep 21, Oct 5 & 19, Nov 2, 16 & 30. The group is limited to ten participants. There are two places still open. Assess a couple's chances of staying together, and of being happy together. Use the Relationship Grid to assess each partner's role in the relationship difficulties. Diagram a couple's core conflict in a way that guides your interventions. Draw a couple's genogram to clarify their significant family patterns and dynamics. List the kinds of couples you should refer, rather than treat yourself. Be clear about "who is the client?" List the important steps in couples therapy with affairs. Formulate your own policy about confidentiality and secrets between couples. Teach a time-out agreement to stop escalation between couples. Discuss verbal and/or emotional abuse with couples, and help couples end abuse. We use a case presentation format. You will have the opportunity to discuss some of your challenging couple cases and get feedback about them. Usually, each case has lessons for all of us. I imagine we will discuss separation, divorce, affairs, anger, verbal abuse, violence, power struggles, withdrawal, betrayal, therapist loyalty, confidentiality, ethical issues, narcissism, control, grandiosity, etc. We may cover other topics as well, because our discussion will be guided by the cases you present. There is no required style of case presentation. Some people just talk about a couple they’re having trouble with. Others bring in genograms and core conflict charts and testing data. People have brought in videotapes and audiotapes. You are welcome to present your cases in any way that you would like. The cost is $75 per meeting. There are two CEs per meeting, for a total of 14 CEs. Each participant commits to the entire series of seven meetings. Everyone is entitled to one free miss. Click here to register for Working with Difficult Couples while space is still available.